Like Habakkuk, Christians often feel angry and discouraged as they see what goes on. 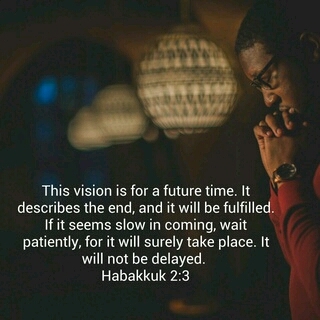 Habakkuk complained vigorously to God about the situation. It isn’t easy to be patient, but it helps to remember that God hates sin even more than we do. Punishment of sin will certainly come. To trust God fully means to trust him even when we don’t understand why events occur as they do. God’s concern for justice that requires faithfulness and love that offers forgiveness can be seen in his dealings with Hosea. We can err by forgetting God’s love and feeling that our sins are hopeless, but we can also err by forgetting his wrath against our sins and thinking he will continue to accept us no matter how we act. Forgiveness is a key word: when God forgives us, he judges the sin but shows mercy to the sinner. 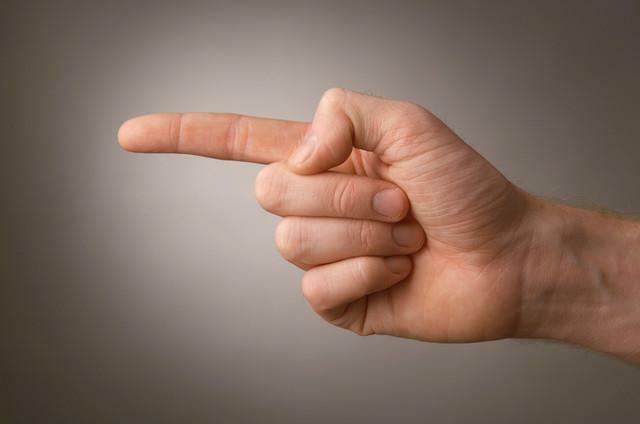 We often blame others if we fear punishment for wrongdoing. 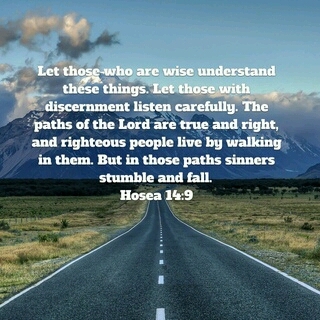 Hosea warned the priests not to blame anyone else; the nation’s sins were largely their fault. Israel’s priests pointed out the people’s sins, but God would not allow them to overlook their own irresponsible actions. Instead of instructing the nation in religion and morality, they had led the way toward idolatry and immorality. Their failure to lead the people in God’s ways placed most of the blame for Israel’s destruction on them. Knowing that God will not allow us to blame others for our sinfulness should cause us to admit our own sins. We are responsible for our own sinful actions. Beware of the tendency to blame others because it can keep you from feeling the need to repent. Many people try to be stars in the world of entertainment, only to find their stardom temporary. Motives behind our actions speak so loud that we think no one sees but there is one who sees it all and He knows what your true motives are. Our Lifeline to God, Prayer! Daniel stood alone. Although he knew about the law against praying to anyone except the king, he continued to pray three times a day as he always had. 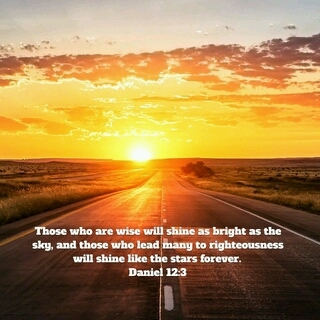 Daniel had a disciplined prayer life. Our prayers are usually interrupted not by threats, but simply by the pressure of our schedules. Don’t let threats or pressures cut into your prayer time. Pray regularly, no matter what, for prayer is your lifeline to God. 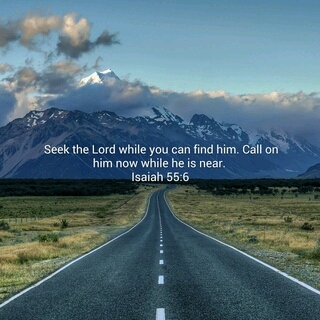 Isaiah tells us to call on the Lord while he is near. God is not planning to move away from us, but we often move far from him or erect a barrier between ourselves and him. Don’t wait until you have drifted far away from God to seek him. Later in life turning to him may be far more difficult. Or God may come to judge the earth before you decide to turn to him. Seek God now, while you can, before it is too late. I have made the mistake of traveling down this road and It was nearly impossible to turn around and travel back to God. What laid out there seem so good but those ruts in the road almost took me out. Only by the grace of God was I able to do a u-turn and come back to him. Some of the movies coming out portray fast cars that drift and do they look great, until they roll over, or crash, or run off the road into a pool of water, or worse yet they go over a cliff. End of the journey! – Have you ever crash and burned in life? How about been up ended in a relationship that went south on you and you could do nothing to stop it. – Have you ever felt like you were drowning in life from those things that seem like they were way over your head, you couldn’t even catch your breath. – Lastly, you found yourself heading for the edge of a cliff knowing that is not something you want to do twice let alone once, it could mean curtains, nice way of saying you could die from this. Contrary to this a soul drifting may seem great at that moment but there is always that cliff, that could and most likely will take you out and then it’s to late to make any amends with the lover of our souls, (Father God). I beg you to do the u-turn and seek God now, while you can, before it is too late!